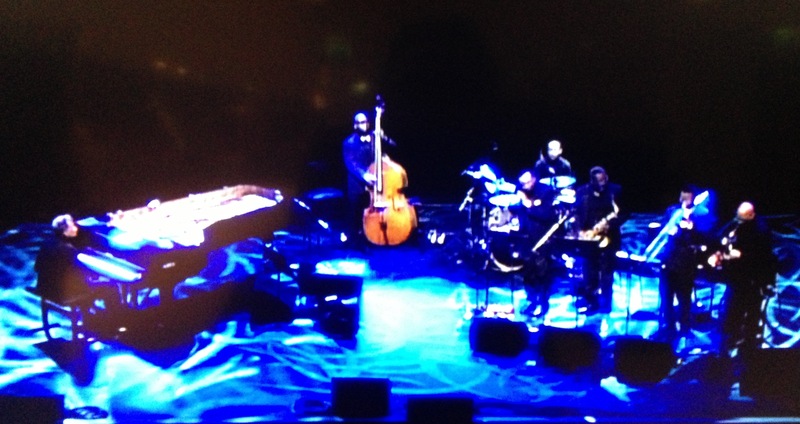 Abdullah Ibrahim opened last night’s concert at the Royal Festival Hall with the sort of extended solo-piano reverie for which he has long been celebrated, dipping reflectively in and out of various themes, occasionally hinting at the beautifully harmonised hymn tunes that bring such balm to his listeners’ hearts. Then the great South African did something completely different, introducing a new trio in which he is joined by Cleave Guyton on flute and clarinet and Noah Jackson on cello. For the next half an hour or so they performed a series of gentle miniatures, containing little improvisation but concentrating on the close inspection of a limited tonal palette when applied to an equally restricted emotional range: the tempos were slow to medium, the dynamic range seldom venturing beyond a polite murmur. It was like walking slowly past a series of small, pale-hued watercolours of the same landscape, viewed from slightly different vantage points. That doesn’t sound very exciting. But it contained enough of Ibrahim’s seed to hold the attention, even in the occasional moments when the intonation of the cellist or the clarinetist wavered slightly. The second half of this EFG London Jazz Festival concert saw the three men (with Guyton switching to alto saxophone and Jackson moving to double bass) joined by the other members of the latest edition of Ekaya, the septet whose membership has shifted on a fairly regular basis since Ibrahim created it around 30 years ago: Andrae Murchison (trombone), Lance Bryant (tenor saxophone), Marshall McDonald (baritone saxophone) and Will Terrill (drums). The concert had been introduced by a Radio London presenter who promised the audience that they were in for a helping of townships jazz, suggesting that dancing would be on the agenda. But that is not what Ekaya do. Their music is characterised by an air of restraint that guides its lyrical exploration of the timbres created by the combination of its four horns. It was fascinating to hear the softly stabbing figures of “Nisa” played by this line-up, in which Bryant occasionally stepped forward to reveal himself as a front-rank improviser of concise inventiveness and great authority. Confounding stereotypes, the stealthy “Calypso Minor” — which first appeared in Ibrahim’s soundtrack for Claire Denis’s 1990 film No Fear, No Die (S’en fou la mort) — could have been something cooked up by, say, Johnny Mandel for a Hollywood thriller in the 1950s. At times throughout the set there were hints of the bejewelled miniatures created by Ellington’s small groups of the ’30s. And when the rhythm section laid out on an acapella version of “The Wedding”, the mind turned back to the horns-only version of “Abide With Me” recorded by Thelonious Monk. In his brief piano opening to the encore, as if to reaffirm his allegiances, Ibrahim alluded briefly to Monk’s “Crepuscule With Nellie” and Ellington’s introduction to “Take the ‘A’ Train”. Like all great jazz musicians, Abdullah Ibrahim metastasised the sources of his inspiration in the process of developing his own voice. At 80 he remains one of the most powerful and distinctive composer-performers in jazz, even when the dancing is being done in your head. The Band came to London for the first time in the early summer of 1971. At 2.30pm on Monday, May 17 a handful of us gathered at the Inn on the Park, near Hyde Park Corner, where EMI Records had booked the Hamilton Suite, rooms 206-210, for Robbie Robertson, Levon Helm, Rick Danko, Richard Manuel and Garth Hudson to meet journalists. I talked to Robertson and Danko for a feature that appeared in the next week’s Melody Maker, a few days ahead of their two dates at the Albert Hall on June 2 and 3. They were enjoyable interviews. Robbie talked about the early days with Ronnie Hawkins, and about their influences. Among the names he mentioned were those of Jimmy Reed, Charlie Rich, Sanford Clark and Billie Lee Riley, which reminded him of his first visit to London, along with Rick, Garth and Richard, for Bob Dylan’s Albert Hall shows in 1966, when they stayed at the Savoy. 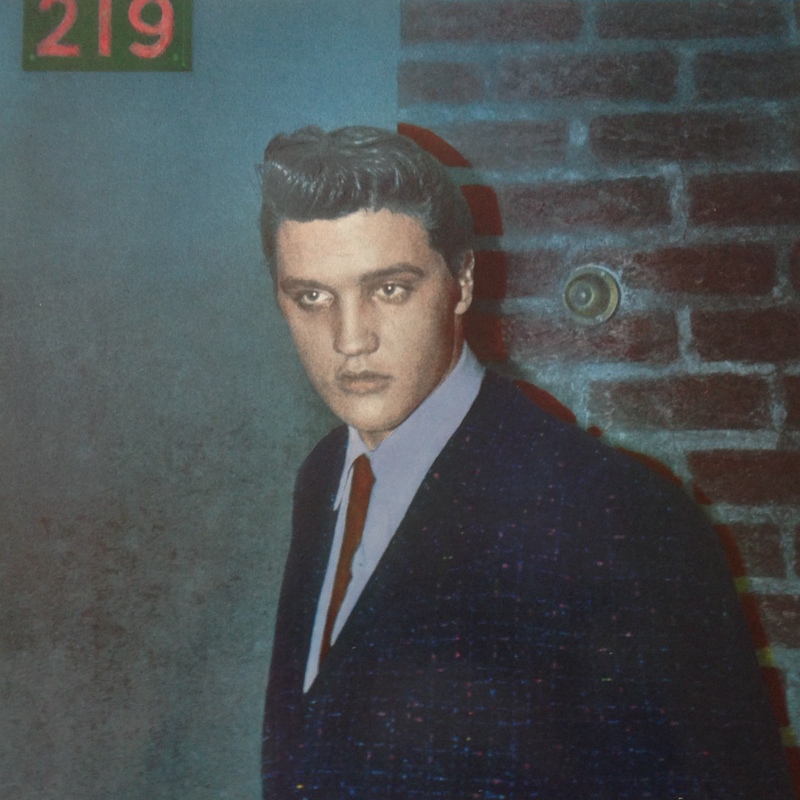 They were indeed, a bunch of superannuated Teddy Boys still trying to convince the world that any rock ‘n’ roll that sounded as though it had been made after Elvis went into the army wasn’t worth a teaspoon of oil for a Triumph Bonneville. I happened to know that Wild Little Willie was one of the leading members of their coterie, named after one of Hawkins’s best known songs. They hadn’t brought their own system to Europe, relying instead on a system supplied by Charlie Watkins, the South London amplification expert and inventor of the great Copicat tape-echo unit. According to Danko, Watkins had been to see them in the US, examined their system, and promised to create something equally effective. He was as good as his word, and those of us present at the Albert Hall still talk about the pin-sharp but very warm quality of the sound, and how they were the first rock band to master the acoustics of a venue that had been notoriously unfriendly to amplified music. As Danko promised, the sound was just like the records, allowing us to appreciate the astonishing quality of their playing. It was one of the great gigs, and three of the songs from the first night — “Strawberry Wine”, “Rockin’ Chair” and “Look Out, Cleveland” — were unearthed for A Musical History, the handsome boxed set released by Capitol in 2005. Which must mean that the rest of the concert is in the vault somewhere, and it would be nice to hear it all one day. 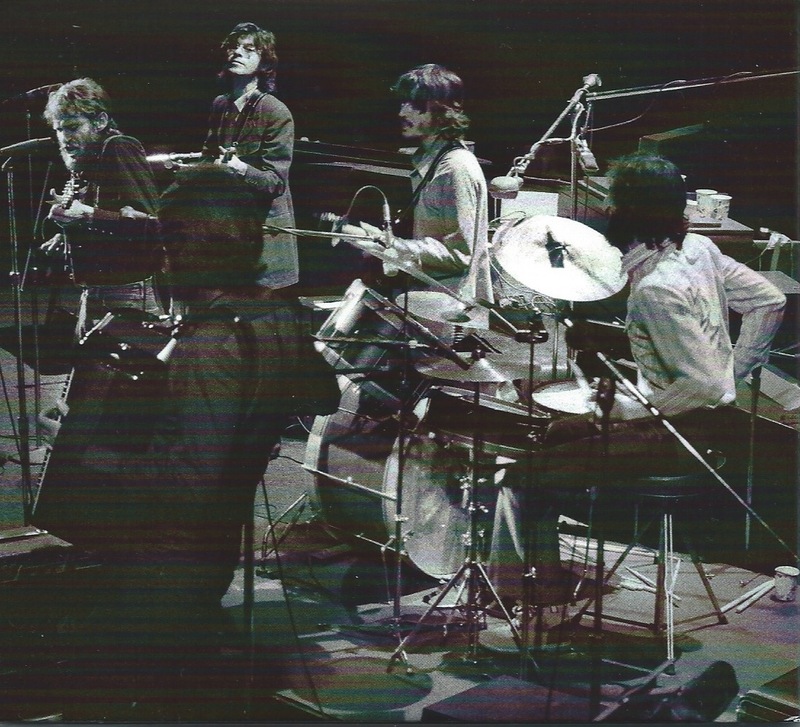 After finishing their European dates they spent the remainder of 1971 finishing and releasing their fourth album, Cahoots, and touring the US, winding up the year with four nights at the Academy of Music in New York, where they were augmented by a five-piece horn section under the direction of the New Orleans master Allen Toussaint. Those shows were initially commemorated in Rock of Ages, a vinyl double album released the following year. Now Robbie Robertson has gone back to the archive, unearthed the original master tapes, remixed and remastered them, and put together a new boxed set including three CDs and a DVD, plus a more modest two-CD package. The latter, for which I opted, includes the Band’s full 25-song set — eight more than could be squeezed on to the two vinyl discs of the original release, and two more (“Smoke Signal” and “Strawberry Wine”) than appeared on the last CD version, plus four songs with Dylan — “Down in the Flood”, “When I Paint My Masterpiece”, “Don’t Ta Tell Henry” and “Like a Rolling Stone”, all of which appeared on the earlier expanded CD release. They sound better than ever, and they sounded pretty good in the first place. It reminds me of the extraordinary finesse and flexibility that became apparent during the Albert Hall concert, not least when — as you see them in the photograph above — Levon picked up a mandolin, Garth strapped on an accordion and Richard settled himself behind that beautiful old-fashioned drum kit. Back at his Lowrey organ, Garth played an astonishing extended solo introduction to “Chest Fever”, known as “The Genetic Method”; a friend of mine claims he played it on the Albert Hall’s mighty pipe organ, but that’s not my memory of it. Everything about that concert was perfect, except for the interval, when I went for a drink and found myself accosted at the bar by Peter Grant, Led Zeppelin’s manager and a master of the art of intimidation, who approached me, with Jimmy Page lurking in his shadow, and accused me of trying to break up his band. That’s another story, but it was a relief to get back to my seat and listen to some more from the greatest combo of their era, functioning at their peak. * The photograph is taken from the insert to The Band: Live at the Academy of Music 1971. It is uncredited. I gave him a slightly facetious answer: “To remind Americans of their heritage, probably.” But even if Mats’s chronology was a big askew, along with his geography (Cavan, the Strypes’ home town, is in the Republic of Ireland), it’s certainly worth thinking about why this quartet of teenagers has come along to evoke so precisely the spirit of the Rolling Stones, the Pretty Things, the Downliners Sect and the Eel Pie Island scene back in 1963 and the Canvey Island sound of the Feelgoods and Eddie and the Hot Rods in the mid-Seventies. It’s a matter in which I have a personal interest, since — like hundreds of others — back in the early Sixties I was a member of one of those first-generation English R&B bands, with a repertoire largely borrowed from Chuck Berry, Bo Diddley, Muddy Waters and Jimmy Reed. And a decade later, working as an A&R man for Island Records, I made the decision not to pursue an interest in Dr Feelgood — something that’s caused me the occasional sleepless night over the past 30-odd years, and certainly every time that excellent Julien Temple documentary Oil City Confidential gets shown on TV. There were three reasons why I didn’t try to sign the Feelgoods. First, they were virtually promised to United Artists’s Andrew Lauder, who had been courting them with some ardour. Second, I wasn’t convinced by their original material. Third, I couldn’t really see a proper long-term future for something that, in essence, I felt we’d all lived through a decade earlier. I was wrong on the last count in particular. I was certainly waiting for something new to happen, a sense of frustration mounting by the month as I waded through unsolicited prog-rock and singer-songwriter demo tapes, but I failed to recognise that the Feelgoods represented an important first stage on the route to whatever that new something was going to be. They didn’t need to be the last word in original thought. Something similar could turn out to be true of the Strypes, whose music is based firmly on those earlier templates. The first thing to be said is that Ross Farrelly, Josh McClorey, Pete O’Hanlon and Evan Walsh may be aged 16 and 17, but so were we, back in 1964, and it didn’t stop us from having a decent stab at this kind of R&B. And the quartet from Cavan are very good at it, indeed better than we were in their versions of both sides of a great Diddley 45, “You Can’t Judge a Book By Its Cover” and “I Can Tell” (in which they replace the great original guitar riff with their own, equally good). Farrelly clearly has what it takes to be a convincing front man, and the playing is sharp and smart, suggesting in the extended version of “Rollin’ and Tumblin'” that they may have the musical imagination to create something worthwhile when they venture beyond the basic forms into new territory — as the Stones, the Yardbirds, the Who and the Kinks once did. Even at this extremely early stage, their original songs sound fine — and will sound even better to young audiences inevitably unfamiliar with the roots of this music. So they’ve got the sound, the energy and the look (hair long, shirts polka-dot or striped, trousers and ties narrow). It’s a living heritage, and they’re making the most of it. 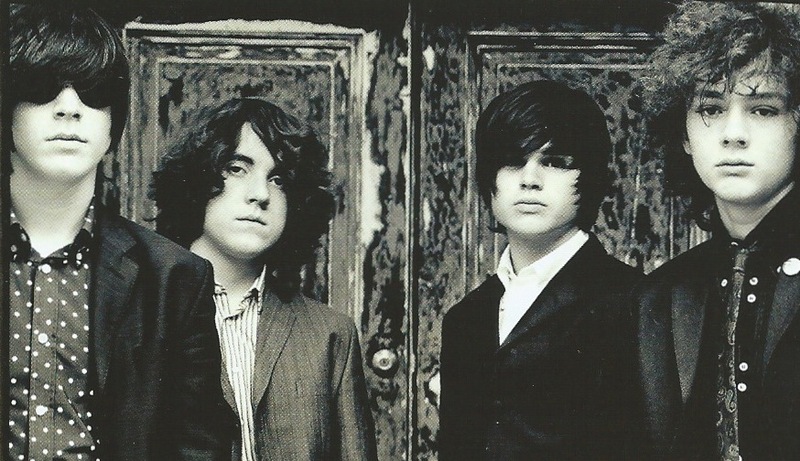 * The photograph of the Strypes, taken by Jill Furmanovsky, is from the cover of Snapshot (Virgin EMI Records).